KOUKOUNARIES. 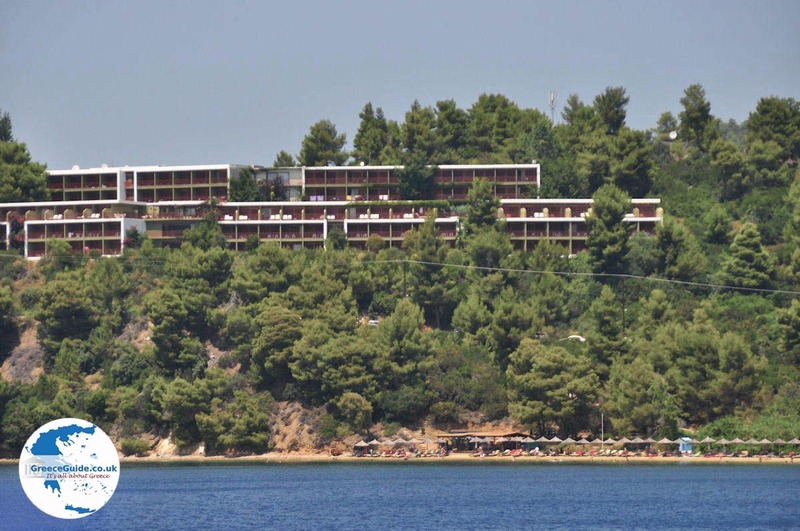 Koukounaries is the most popular resort on the Greek island of Skiathos. 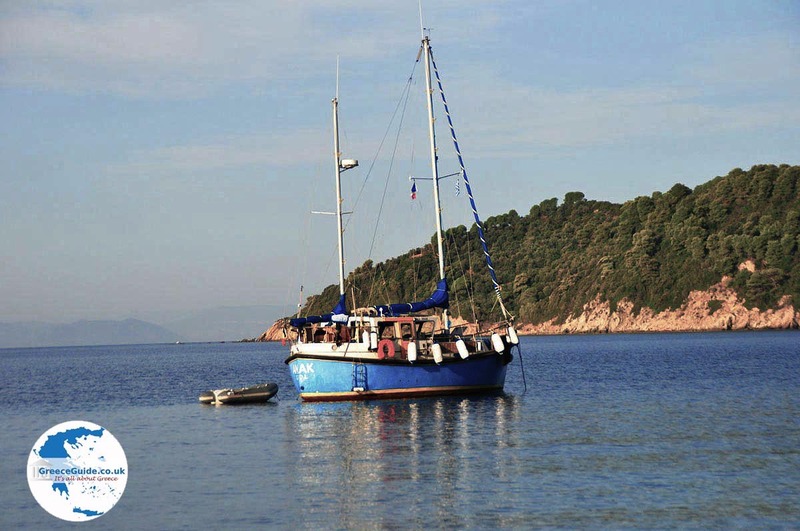 Koukounaries is located 13 kilometres west of Skiathos Town and is accessible both by bus and by boat. 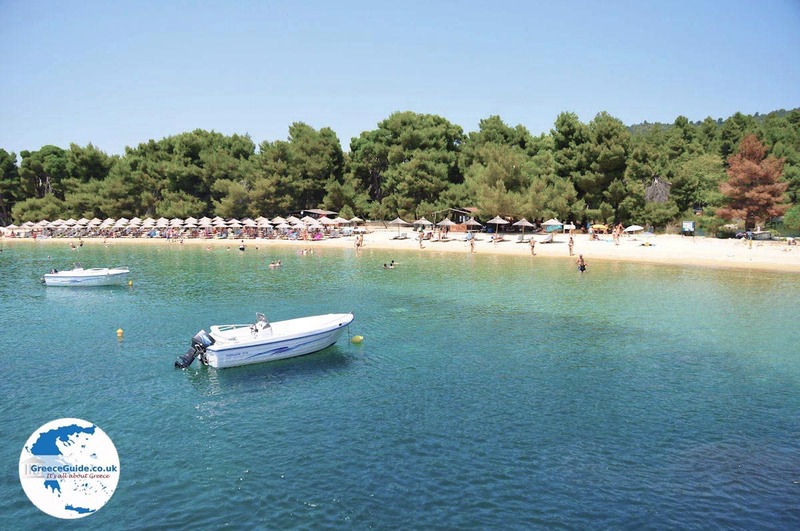 The golden sandy beach of Koukounaries is beautiful and the water is crystal clear. 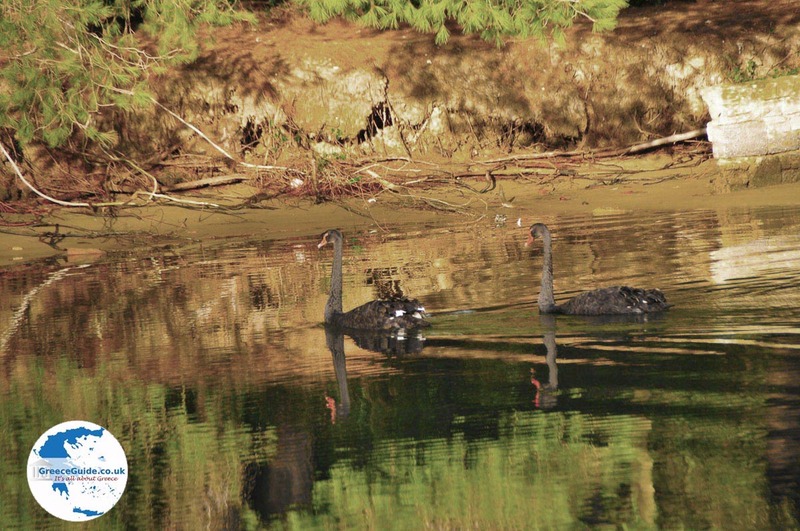 Koukounaries is a protected area, because of the lake behind the sandy beach, where many birds find refuge. The lake is called Strofylia which is connected by a canal with the small marina of Koukounaries. Here is also the forest of Koukounaries. Koukounari means pine cone, and that explains the name. Around the protected area are several good hotels. On the beach all kinds of water sports are available. Within walking distance is the nudist beach Banana. 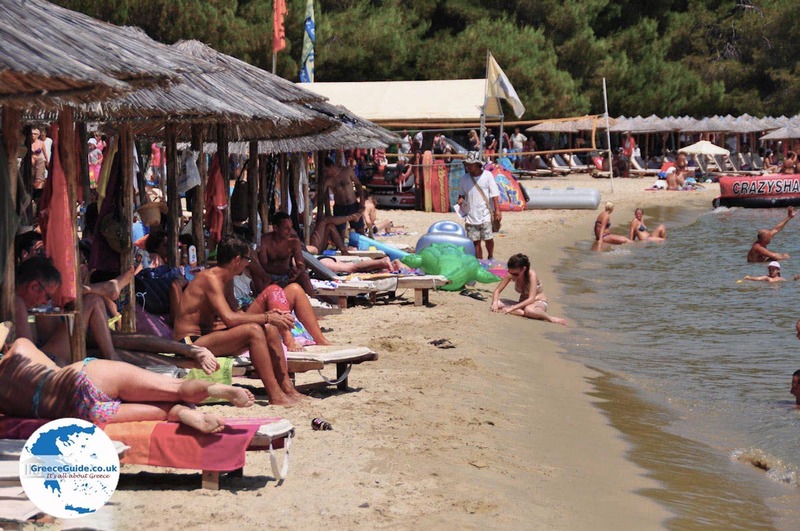 In the summer it is very busy in Koukounaries with tourists. Tour boats arrive daily from the mainland and other neighbouring islands. 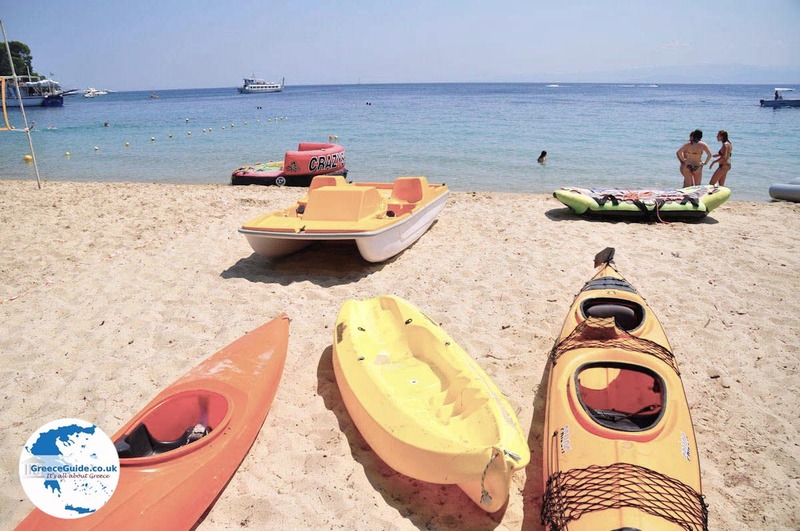 A very nice beach is Maratha which is some fifty meters east of Koukounaries. 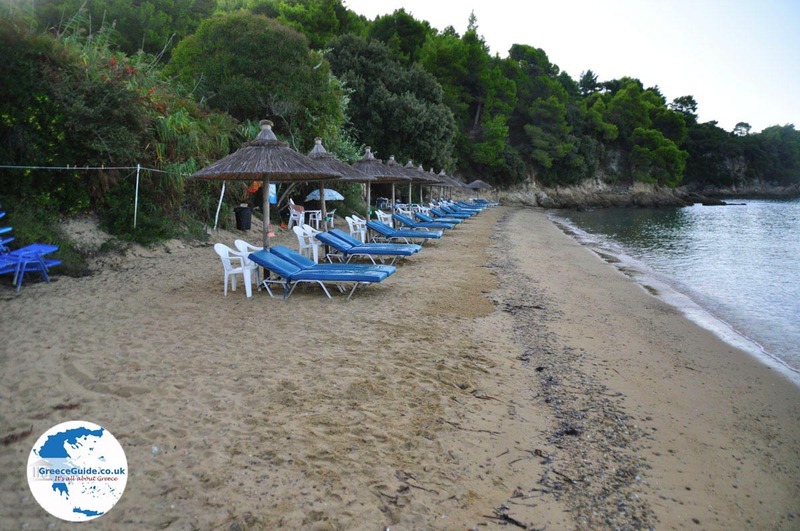 The beach is operated by Hotel “Skiathos Palace” but is accessible for everyone. On the main road there is a small path down through green pine forests, leading to the beach. The beach is idyllic, next to the woods. 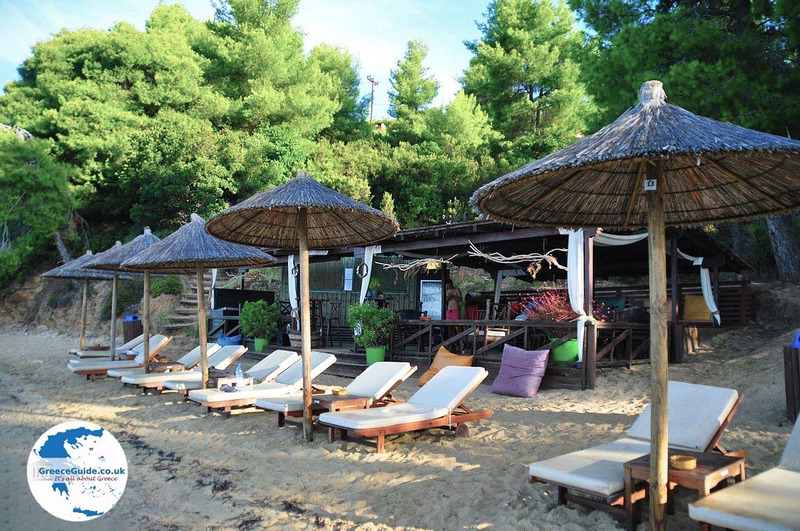 On the beach are sun loungers and there is a nice beach bar where drinks and snacks are sold. 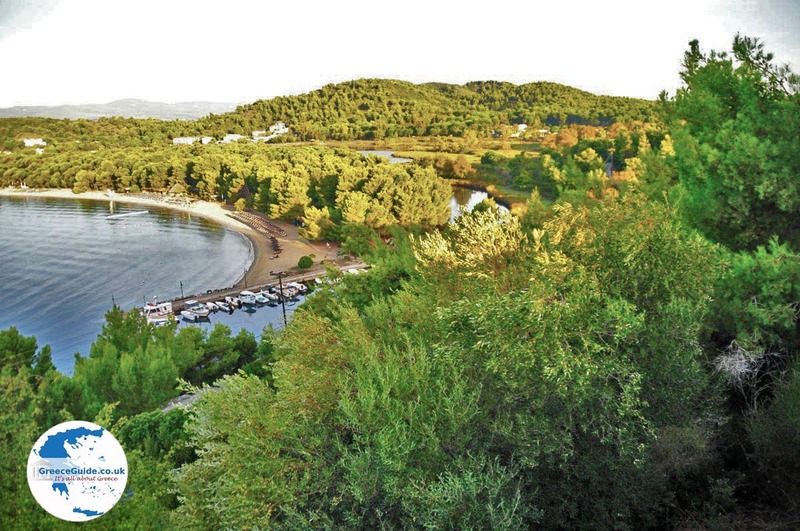 Once an hour a bus drives to Skiathos town. The trip by bus takes about twenty five minutes. 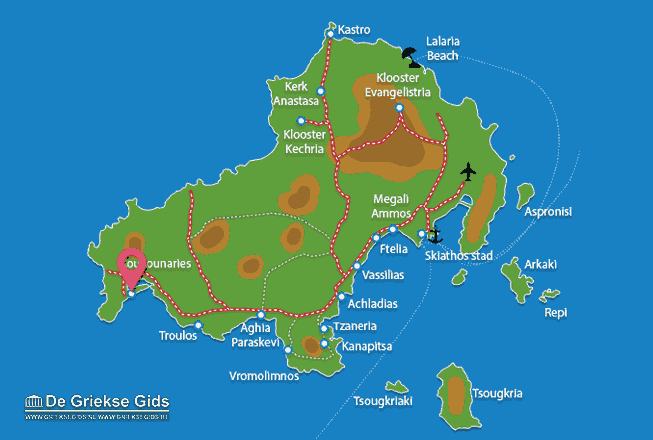 Skiathos: Where on the map is Koukounaries located?